These Up cupcake toppers won't carry your cupcakes away as they did Mr. Fredrickson and Russell. The toppers were modeled after the infamous house in Disney and Pixar's animated film "Up." The house is made of fondant, and bunches of candy balls are attached to the top. 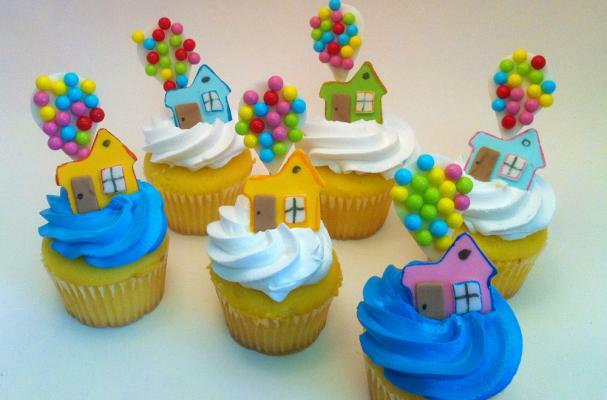 The cupcake toppers are an adorable finishing touch on cupcakes and perfect for any housewarming party. For another Up-inspired cupcake, check out these marriage proposal cupcakes.